Ships tomorrow if you order in the next 19 hours 6 minutes. Stinging nettle does so much more than just leaving a stinging feeling on your skin when you touch it. This plant has been used for centuries as a way to maintain optimal respiratory health, and has also been used to find relief from seasonal allergies. 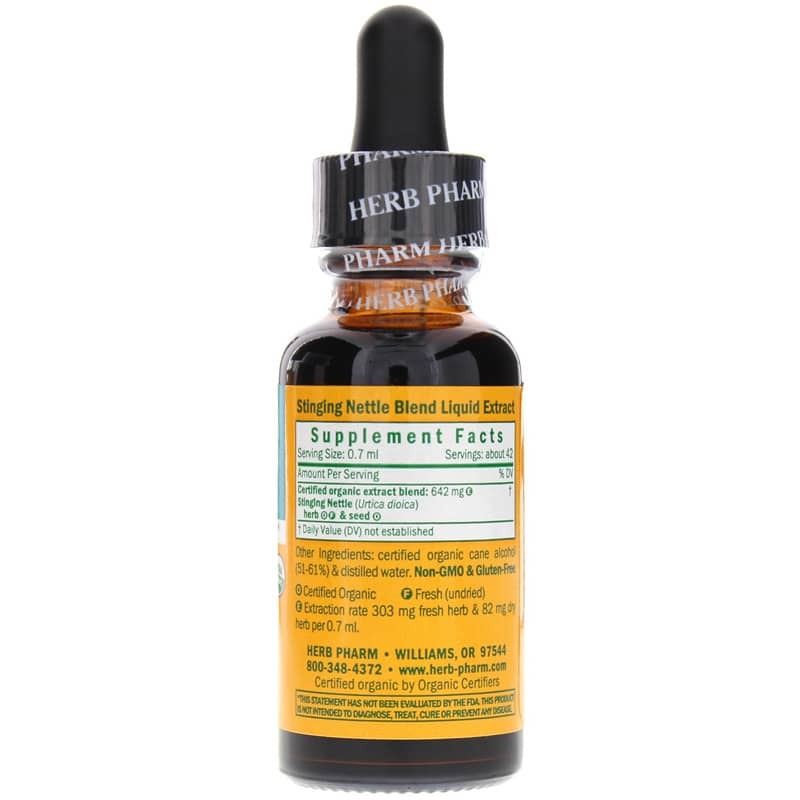 Herb Pharm's Stinging Nettle Blend is a liquid herbal supplement that can be used up to five times every day to help you maintain a healthier respiratory system. Every batch of Stinging Nettle Blend is gluten-free and is made from stinging nettle herb and seed. Up to 40 drops can be mixed into two ounces of water or juice, and is best used between meals throughout the day. Make the right choice to keep your respiratory system healthy and steer clear of seasonal allergies. 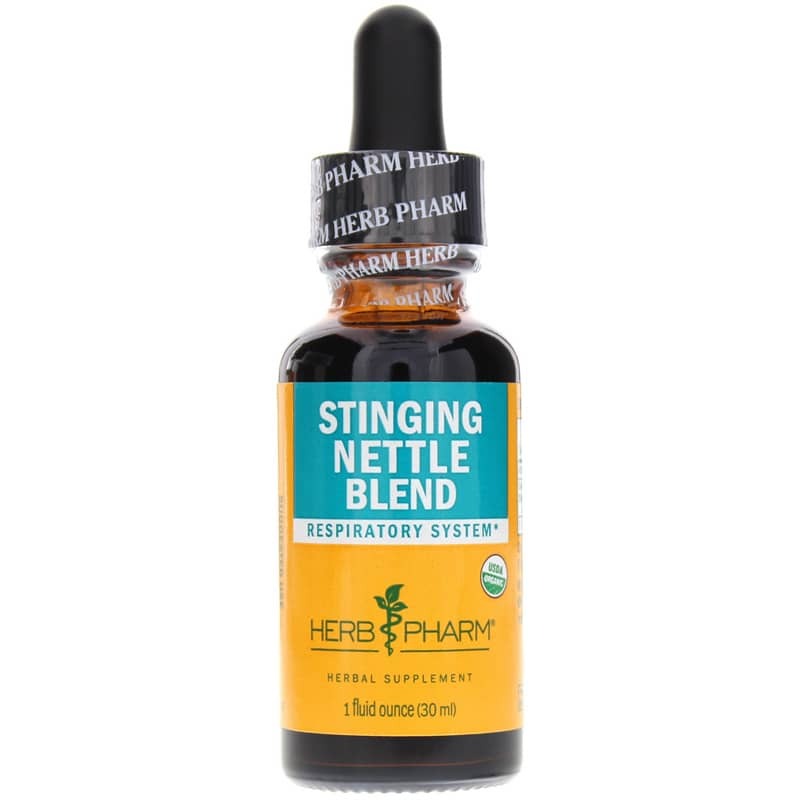 Give Stinging Nettle Blend a try today, and see the difference it may be able to make for you. Order now! Other Ingredients: certified organic cane alcohol (51-61%), distilled water, certified organic vegetable glycerin. Contains NO: GMOs, gluten. USDA Certified Organic. 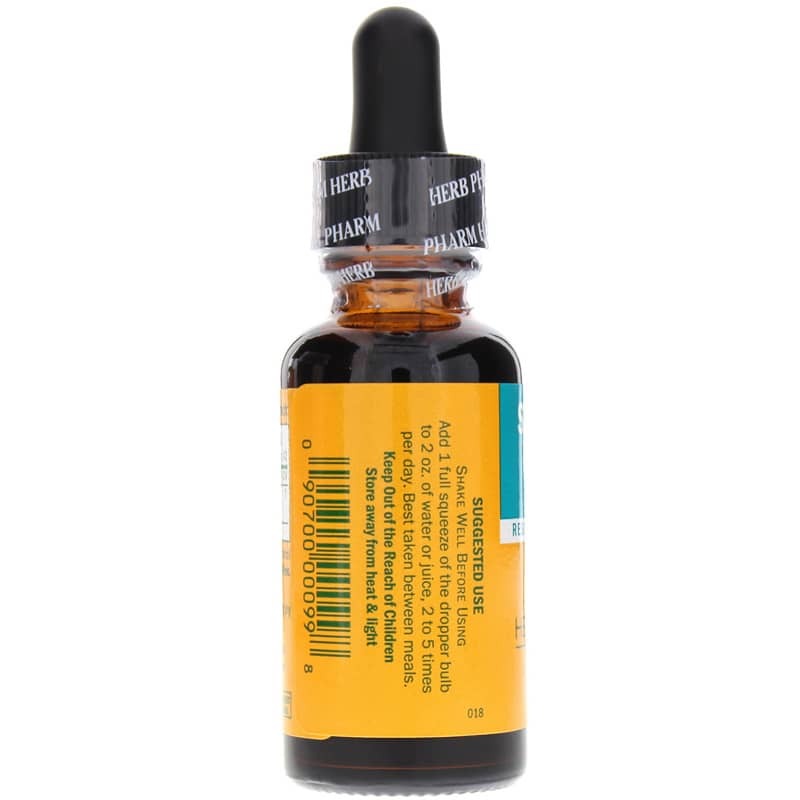 (E) Extraction rate 303mg fresh herb and 82mg dry herb per 0.7ml. Adults: Shake Well Before Using. Add 1 full squeeze of the dropper bulb to 2 oz. of water or juice, 2 to 5 times per day. Best taken between meals.